An overview about user interface framework for Web Developers. 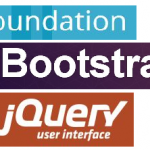 There are many open source user interface frameworks. I’ll give an overview on UI frameworks. How to secure the query string in ASP.NET or MVC websites or intranet applications? List of references which deals with securing query string. 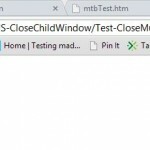 Simple java script code sample for closing multiple child windows or tabs on closing or refreshing the parent window. JS sample closing multiple child tabs. 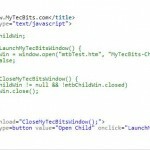 Simple java script code sample for closing child window or tab when the parent window closes or refreshes. JS code sample for closing child browser window. List of Code Review Tools For ASP.Net Web Application Development. These tools will help to improve the performance of your website. HTML Validation and code review using W3C Validator. Brief details on W3C’s HTML Validator and its uses. Detailed step by step instructions with pictures on Installing and Using YSlow on Firefox and Chrome browsers for Code Review. 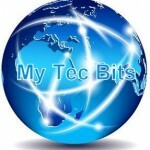 Brief details about .net code review tool JustCode by Teleric. Some of the useful features of JustCode for dotnet developers. Detailed step by step instructions on Installing and Using JSLint for Visual Studio 2010, a Java Script Code analysis tool. What is JSLINT.VS, Where can we get it, How to use it? Your answers here. Steps for using JSLint.VS for Java Script Code Analysis. What is VeraCode. What far it is used? Some Useful links and on Web Security Vulnerability which will be helpful during website development. Useful resource on Web Security Vulnerability.